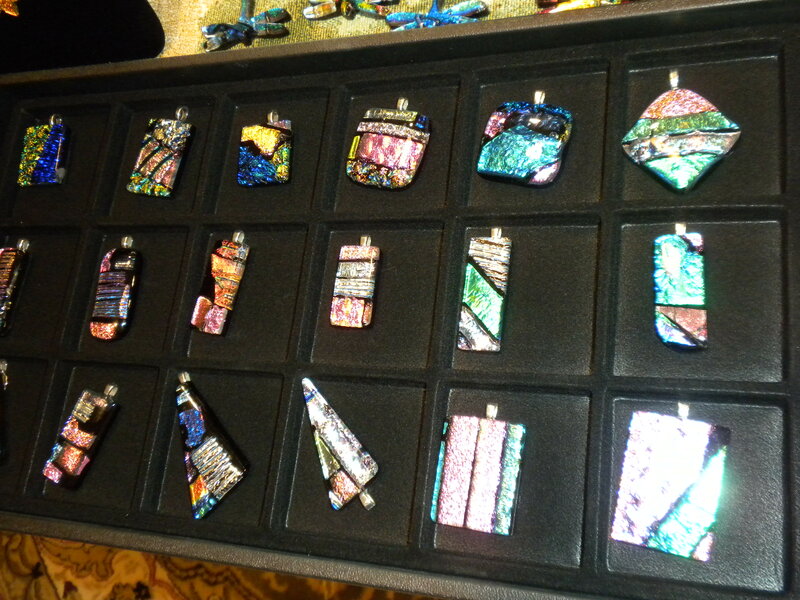 Beautiful Glass Pendants made from stained glass and dicroic fused together! Several different sizes and shapes and colors. Comes on a 20″ silver plated necklace. Have different beautiful colors. Pictures don’t do them justice. They are beautiful. They sell for $32.95, comes with a chain and in a beautiful box lined with satin. If you would like to see them please let me know at (713) 899-0933!! 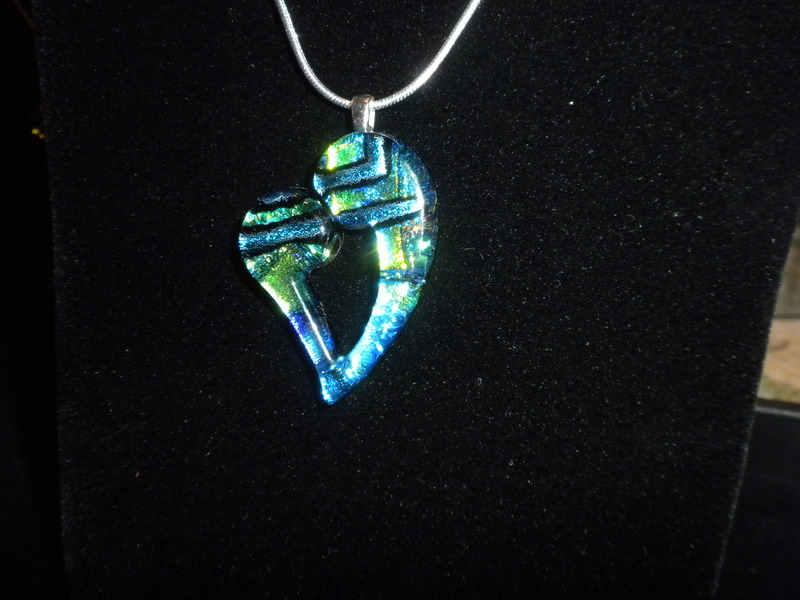 Beautiful Heart Pendant made from stained glass and dicroic fused together! Comes on a 20″ silver plated necklace. Have different beautiful colors. Pictures don’t do it justice. They are beautiful. They sell for $32.95, comes with a chain and in a beautiful box lined with satin. If you would like to see them please let me know at (713) 899-0933!! 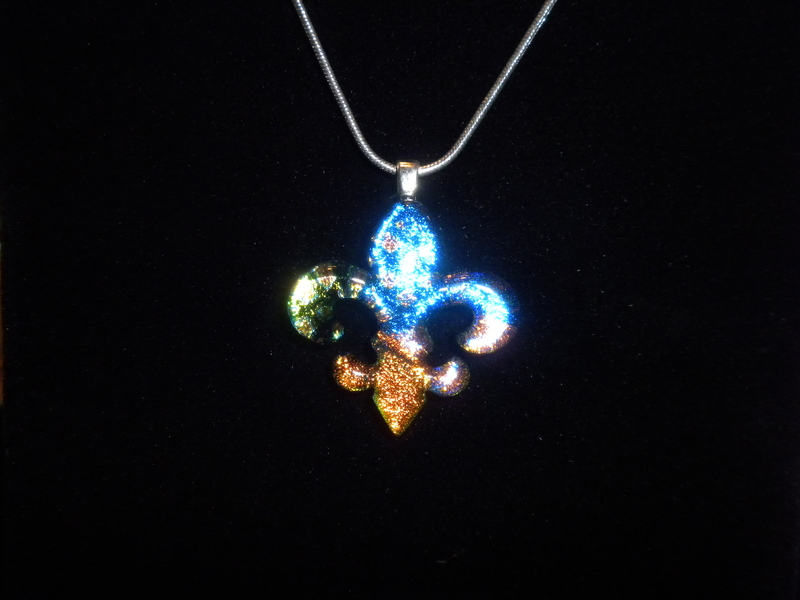 Beautiful Fleur de Lis Pendant made from stained glass and dicroic fused together! Comes on a 20″ silver plated necklace. Have different beautiful colors. Pictures don’t do it justice. They are beautiful. They sell for $32.95, comes with a chain, in a beautiful box lined with satin. If you would like to see them please let me know at (713) 899-0933!! 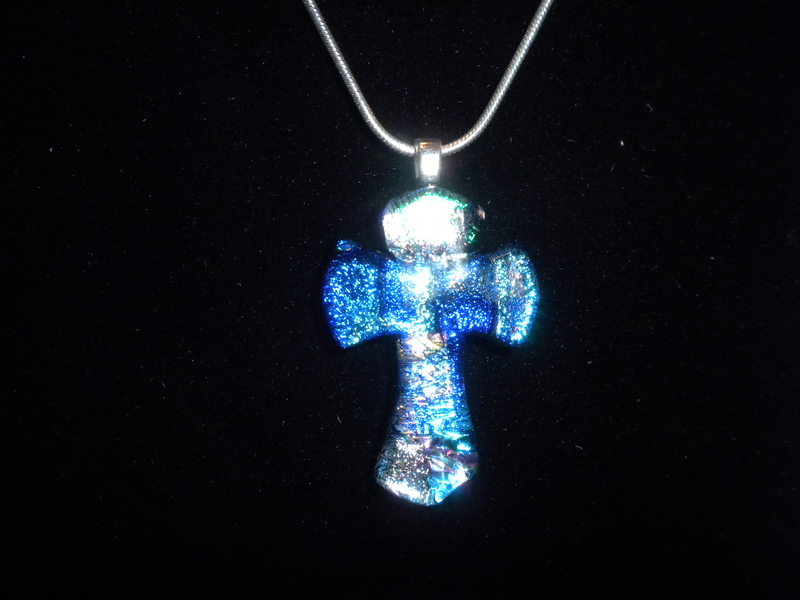 Beautiful Cross made from stained glass and dicroic fused together! Comes on a 20″ silver plated necklace. Have different beautiful colors. Pictures don’t do it justice. They are beautiful. Sell for $32.95, comes with chain and in a beautiful box lined with satin. If you would like to see them please let me know at (713) 899-0933!! 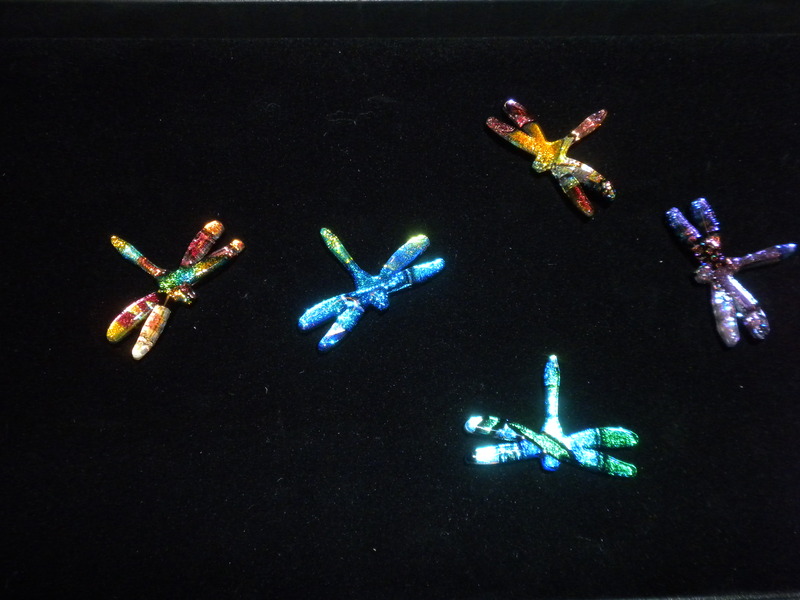 Beautiful Dragonfly Pin made from stained glass and dicroic fused together! Beautiful colors. Pictures don’t do them justice. They are beautiful. They sell for $32.95, comes in a beautiful box lined with satin. If you would like to see them please let me know at (713) 899-0933! !